So happy to have found this forum! I’m attaching pictures of the last quilt I completed. It’s paper pieced and hand quilted so it took me quite a while. 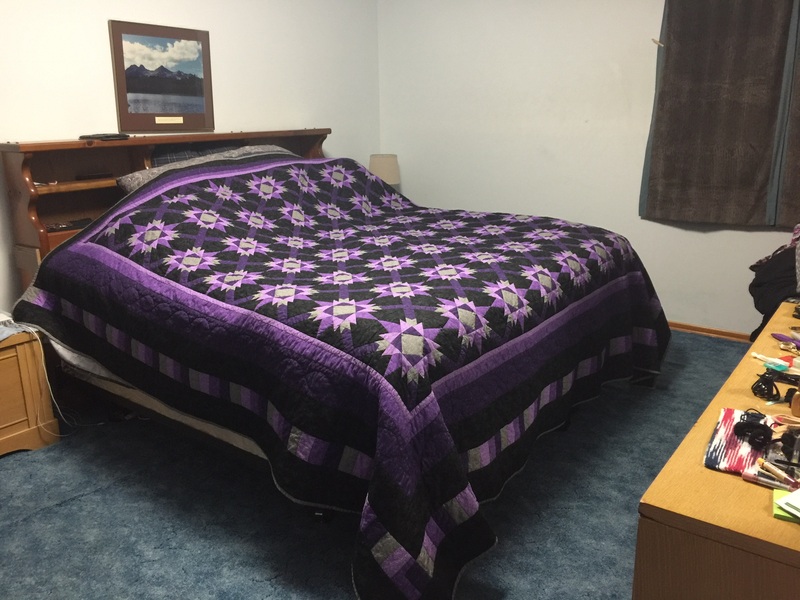 Fits a king bed and is the first quilt I’m really proud of. Lol. Anyway, I’m looking forward to getting ideas to arrange my sewing space and see all the beautiful quilts everyone makes! Well, I think all you have to do to find a beautiful quilt is look at the one you just finished! It is gorgeous! 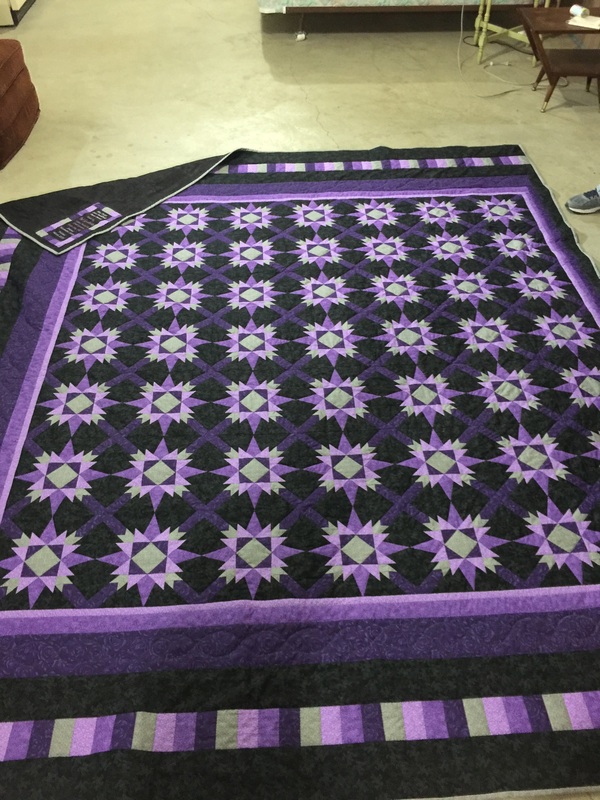 Welcome from Northern CA and thanks for sharing that stunning quilt!!!! ​Welcome from Ontario, Canada. Beautiful quilt! Hi and welcome from North Carolina! Your quilt is beautiful! Wow!! I'm so glad you found us! Welcome from New Hampshire. Welcome from Oklahoma. Your quilt is gorgeous. I am looking forward to seeing more of your work. Beautiful! Welcome from Florida. You did a wonderful job and king sized too. That's great. Welcome from SW Missouri. You sure made a gorgeous quilt!!!! Gorgeous and vivid. Love it. No wonder you're proud of it! It's gorgeous! And huge! Thanks for all the nice comments!!! Oh, that IS a quilt to be so proud of and enjoy for a long, long time. WOW! Just love the way this looks. Kudos to you for creating a beautiful quilt. 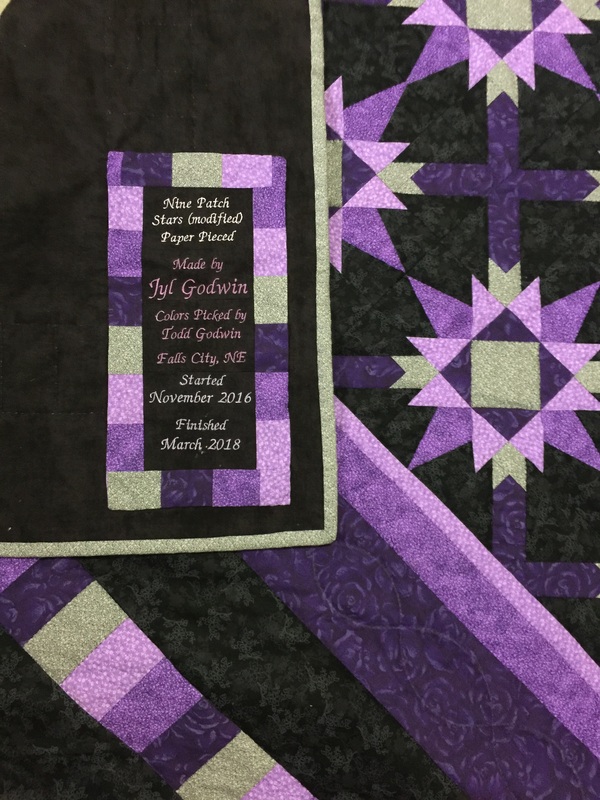 Your quilt is beautiful and the colors work really well for it. Purple, in all the shades, is my favorite color. Welcome and what a beautiful quilt you made! It truly is stunning. I love purple. Welcome from Texas! WOWZER! Your quilt is beautiful. I love paper pieced quilts but have never gotten the hang of the technique. Your colors are so pretty & I love all the borders you added for size. Thanks for sharing. Welcome and your quilt is beautiful. Very nice work.